There comes a time when you must learn how to fight and now is that time! 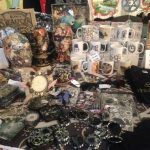 Ravenwolf Cinematic Combat will be based in the Regency Room all weekend for their Stage Combat Workshops, where you will learn one of 2 disciplines over a one hour class…. These classes are totally free and can be booked in advance by emailing markharveysmith@yahoo.com with your day/time slot preference. At SFS in the past, we have taught you how to protect yourself and fight back against Sith and Deatheaters, now we up the ante, now we bring you the amazing RAVENWOLF CINEMATIC COMBAT!! RCC will be based up in the Regency Room where they will be running you through your paces with workshops that take you through 3 different styles of combat. Keep an eye out for details on how to book in future posts. Sword Master, Mark Hindman-Smith has developed screen-safe combat techniques based upon his extensive study and experience in Historic European Martial Arts. This ensures that students are able to perform historically accurate and spectacular fight sequences in a safe manner. Techniques covered range from unarmed, various swords from the Bronze Age to present day, axe, spear, dagger, archery, etc. Black powder and more modern fire arms techniques are soon to be added to the training provided. RCC also act as an agency, providing it’s members with experience on film sets, from indie productions to large budget movies, adverts and TV programmes. Mark’s experience includes Pirates of the Caribbean IV, Ironclad, BILL, The Last Kingdom & Beowulf. His acting credits are extensive. RCC also produce their own films, ranging from shorts to full feature films and collaborating and supplying services to other film production companies, big or small. 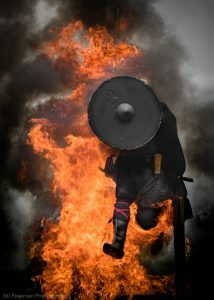 As well as providing combat actors, RCC has also been involved in casting, costume, historic advising, set design & build, location scouting, props and supplying weapons. WHITEBLADE is the story of the early years of C7th Northumbrian King, Oswald. The original and true King in the North. This period action adventure film features RCC trademark large scale battle scenes, featuring over 400 combat actors. 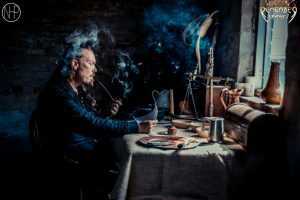 Oswald was the first Anglo-Saxon to be sainted, but this early history of his life shows that he was no saint when it came to fighting for his kingdom! 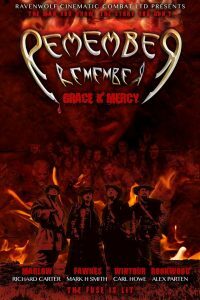 REMEMBER REMEMBER – Grace & Mercy is the first of a trilogy, casting Guy Fawkes as a vampire hunter! Sumptuous sets, locations, costumes and fight sequences blend together in a movie covering period action adventure, horror, romance and tragedy. 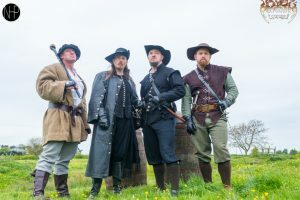 In this first film, the events leading up to the beginning of the gunpowder plot are revealed in an alternative history where vampires rule England’s high society and secret hunter units containing some familiar historical figures strive to stop them taking over the kingdom. 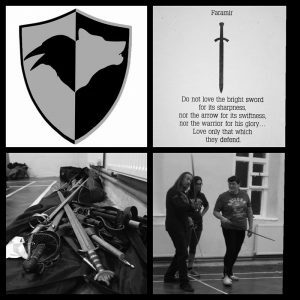 Combat for stage & screen classes are at present, run in York & Bishop Auckland with plans to expand into South Yorkshire, East Yorkshire, Lincolnshire & Manchester in 2018. Anyone can be involved with Ravenwolf Cinematic Combat by joining in with classes or following the Facebook page and looking out for castings.